Tory Historian found this news of enormous interest. The diary of Abdul Karim, Queen Victoria's much loved munshi, was not destroyed despite Edward VII's almost paranoid desire to burn everything to do with his mother's relationship with Karim and with John Brown. It was kept by his family through good times and bad and has now been handed over to Shrabani Basu, author of Victoria and Abdul. The book, revised in the light of new information, will be very well worth reading. What exactly does Professor Schama want? Tory Historian is bemused. On the one hand, Professor Simon Schama, broadcaster, author of very popular history books and Professor of Art History and History at Columbia University, says that there should be no cuts in the state funding of arts subjects like history because if there are only rich people will be able to study history at university. On the other hand, he does not think particularly highly of the way history is taught at most universities and, especially, at schools (something TH can certainly agree with) though it is not quite clear how Professor Schama knows what goes on in the average school in Britain. So, all that funding has not helped? Maybe something else should be tried? Then again, is Columbia University not a private university? That is certainly what it sounds like. Tory Historian was quite excited by the prospect of a film about George VI, the Abdication Crisis and the beginning of the Second World War. All these events were within living memory (still) but, because of the lack of historical teaching in schools, are not as well known as they ought to be. A viewing was in order as soon as possible and a few subsequent discussions. Tory Historian has been somewhat discouraged both by the film and, especially, by the discussions. Sentimentality seems to overwhelm the need or desire to study history. It is necessary to acknowledge that the film is good. It is not brilliant but it is good in a solid way: good script, good acting with many of the best known British thesps on parade, accurate in detailed knowledge of the period. Compared to most films that have been produced in the last ten years or so, it is very good, but that is a reflection on the state the film industry is in around the world. The historic background, on the other hand, is very poor. Whoever did the research should have their salaries docked. Or be told to wash dishes in future, if they can manage it. This is not about details of when exactly the Duke of York or George VI made the first truly successful speech. This is, after all, a film not a biography and certain dramatic tension is required. It is perfectly reasonable to build the story towards the speech at the outbreak of war when the fairy tale comes to fruition: the younger son (in this case a prince but that is irrelevant) overcomes the many handicaps and difficulties, gains the throne and the love of his people as he already has the love of several princesses who are his wife and two daughters. What is objectionable is the complete disregard for historical accuracy in other matters. It is not possible to imagine that George V (or, for that matter, anyone else) said in 1935 (readers, please mark the date) that whoever inherited the throne from him would be facing Hitler threatening half Europe and Stalin the other half. Nobody thought that about Hitler and nobody paid that much attention to Stalin except on domestic matters. Baldwin did not resign in 1937 because he thought "Winston was right". Very few people thought that in 1937, before Anschluss and invasion of Sudetenland; certainly not Baldwin who supported Chamberlain in 1938. All this amounts to a promotion of Churchill as the secondary hero of the story, presumably for the American market. It culminates in the complete reversal of Churchill's role in the Abdication Crisis. The film shows him broadly supportive of the Yorks. In reality he supported Edward beyond any realistic expectation, making a speech in the Commons as late as December 1936 in his favour. He was humiliatingly shouted down. There is, in addition, a problem with Timothy Spall who plays Churchill or rather a pantomime Churchill as one reviewer said. Mr Spall is the one exception in the film - among all the other superlative performances his is dreadful. Does any of this matter? 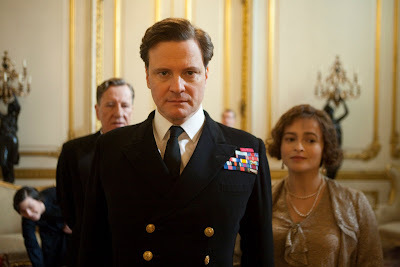 Tory Historian has been assured by various people that it does not as the film in itself is a good thing and will probably encourage others to go away and find out more about the Abdication Crisis, George VI and other related matters. Sad to say, this does not seem to be true. There is no evidence that the film is driving interest in the actual events of that period. In fact, all references to historic facts or inaccuracies are pooh-poohed with a somewhat gooey sentimental sigh. It is just so lovely, that film and gives one such lovely warm feelings. Who needs to learn history? Tory Historian remains very sad and disappointed. Tory Historian is most apologetic about the prolonged silence and promises a return to posting. Incidentally, TH is thinking of changing the format of this blog and turning it into more of an on-line magazine that would cover the same or similar subjects but with more outside contribution and more variation in length and shape of articles. Any suggestions from people of greater technological knowledge are very welcome. Does travel induce friendship between nations? Salisbury was never a believer in tourism per se, perversely thinking that 'the more the faciliteis of travelling bring the two nations into contact the less goodwill is likely to be generated'. Other than the occasional visit to a Swiss spa town for his health, and one diplomatic mission to Constantinople, he never travelled beyond France, Germany and Italy in the last fifty years of his life. This raises a few questions. Firstly, is that opinion really perverse? We generally assume that if people go from their own to other countries a lot then there will be more friendly feeling between all these countries and peoples. Is that really so? Do we or anybody else feel particularly well-disposed towards hordes of tourists? Do people who endlessly travel round, boasting of the number of places they have been to, know anything of those places or leave happy memories behind them whatever they may carry away? Secondly, one can't help comparing Salisbury's attitude to the modern insistence that political leaders should always be visiting different countries for vaguely defined puposes. As it happens the young Lord Robert Gascoyne-Cecil had travelled to various parts of the world, such as Australia and did not carry away particularly good impressions. Clearly, he did not consider that it was in any way necessary for the Secretary for India, the Foreign Secretary or the Prime Minister to visit many other countries though Britain at the time was undoubtedly a world power or, even the world power. Did this attitude and behaviour in any way prevent him from carrying out his tasks well? Can we honestly say that his much-travelled successors are better at their jobs than he was? Or so thought the 3rd Marquess of Salisbury when still an MP under the courtesy title of Viscount Cranborne. Tory Historian has been reading Andrew Roberts's magisterial biography of Salisbury and cannot recommend it highly enough. Roberts's step by step account of the ferocious debates around the 1867 Representation of the People Act (a.k.a. the Second Reform Bill) makes many matters clear. 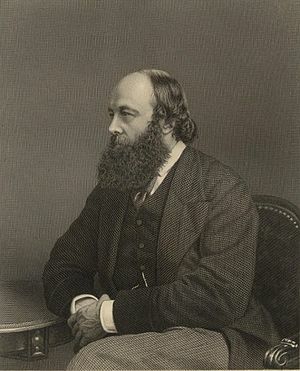 Cranborne was suspicious of the measure from the very beginning but was particularly incensed, to the point of resigning from the Cabinet, by the underhand methods whereby Derby and Disraeli pushed through a measure that was more radical than the one Gladstone had proposed the previous year, which Disraeli had opposed allegedly out of principle. Not only was the Tory Bill more radical than the Liberal one had been but during its passage through the Commons it had shed all the supposed safeguards, ending up with a measure that simply enfranchised a great proportion of the urban working class men. Cranborne was against that for various reasons: ideological as he did not approve of a wide franchise and pragmatic as he thought that this would be a disaster for the Conservative Party in electoral terms (he turned out to be wrong on that). But, most of all, he was incensed by the political legerdemain practised by the leaders of his own party. I entreat honourable Gentlemen opposite not to believe that my feelings on this subject are dictated simply by my hostility on this particular measure, though I object to it most strongly, as the House is aware. But, even if I took a contrary view - if I deemed it to be most advantageous, I still should deeply regret that the position of the Executive should have been so degraded as it has been in the present session: I should deeply regret to find the House of Commons has applauded a policy of legerdemain; and I should, above all things, regret that this great gift to the people - if gift you think it - should have been purchased at the cost of a political betrayal which has no parallel in our Parliamentary annals, which strikes at the root of all that mutual confidence which is the very soul of our party Government, and on which only the strength and freedom of our representative institutions can be sustained. TH's one objection to those splendid sentiments is that however reprehensible may have been Disraeli's behaviour, it was hardly unparalleled but one must allow for political hyperbole. What do we wish to conserve? Tory Historian has been delving into the debates within the Conservative Party that took place in the early years of the twentieth century. There is a much to say on the subject but, at present, here is another quotation from National Revival by Arthur Boutwood, though published anonymously as Mr Boutwood was a low-ranking civil servant and was not allowed to express political opinions. Attachment to certain relatively permanent elements in the existing order of thins, an inclination to make the new organically continuous with the old, a consciousness which seems to itself national rather than sectional, - these may fairly be said to be characteristic of Conservatism. Stability that does not prevent change, reform by amendment rather than by supersession, the nation rather than the class or group, - these seem to be the charateristically Conservative preferences. It has been said, particularly by no less a person than E.H.H.Green, that Mr Boutwood's ideas are often incoherent and contradictory. Tory Historian thinks that this paragraph is one of the better examples of Mr Boutwood's writing.